Dogs are a pleasure to play with partly because they get so adorably excited about things. But actually finding a toy that will keep up with their limitless energy, not to mention those sharp canines, is no easy feat. One of your safest bets, if you’re looking for a new toy, is to go for a rubber one. 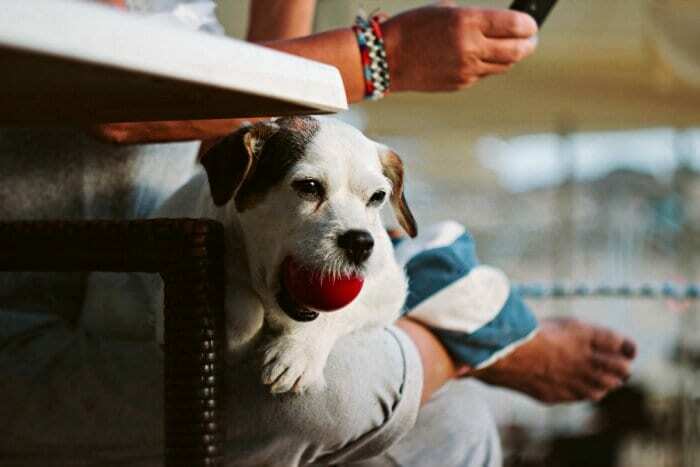 While there are many to choose from, we’ve rounded up a list of great rubber dog toys that you can find nowadays and which should withstand any doggy demands. These options were selected after taking a very close look at their durability, usefulness, and overall quality. We also took into account what other buyers had to say about them. This flying disk is made of a pet-safe, strong, and durable rubber. It is lightweight, flies far, and comes with a squeaker toy in the center. 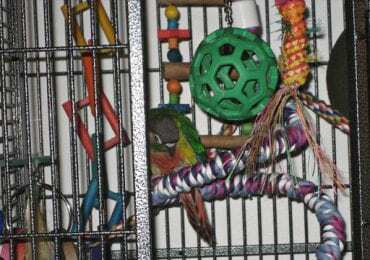 This toy is also great for stimulation as it is vanilla-extract infused and comes in several bright colors to attract and keep your dog’s attention. 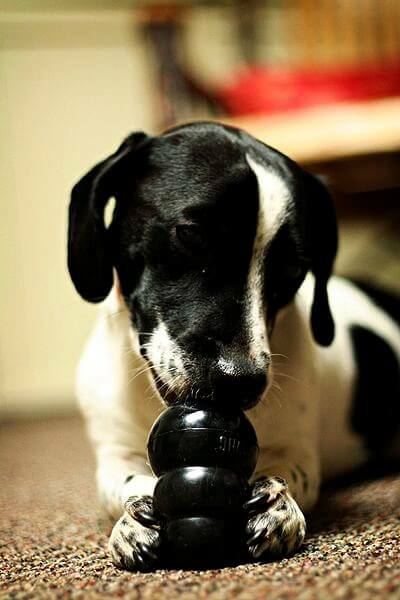 The BIONIC Urban Stick is part of a line of tough, durable rubber dog toys with hollow cores. It has no sharp edges, so you won’t have to worry about splinters, and can hold up to hours of play and chewing. Its bright color makes it easy to see and find. Also, as a bonus, it can be stuffed with treats, thing made even easier by the fact that it comes in three sizes (small, medium, and large). 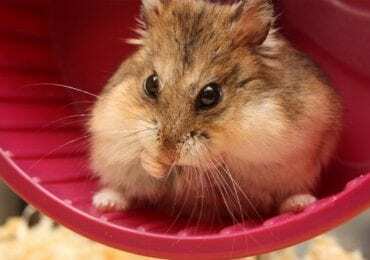 Be sure to watch over your dogs while playing with this toy as they might swallow parts if you are not careful. The PetSage buddy squirrel comes in four sizes and is suitable for a variety of dog breeds, from extra small to large. 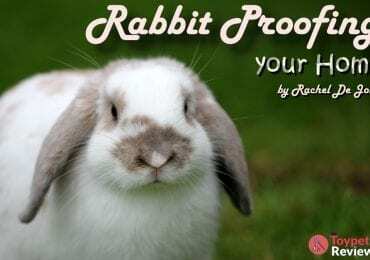 It has been proven to be completely safe for your pet, as it is made of natural rubber, and it is engaging and interactive enough for hours of play time. When it comes to rubber dog toys, this one can easily take the cake. Not only is it one of the most popular rubber dog toys around, but it is also very resistant, entertaining, and affordable. It is vanilla infused, comes in three sizes (small, medium, and large), and it can also be bought in packs of three or two. 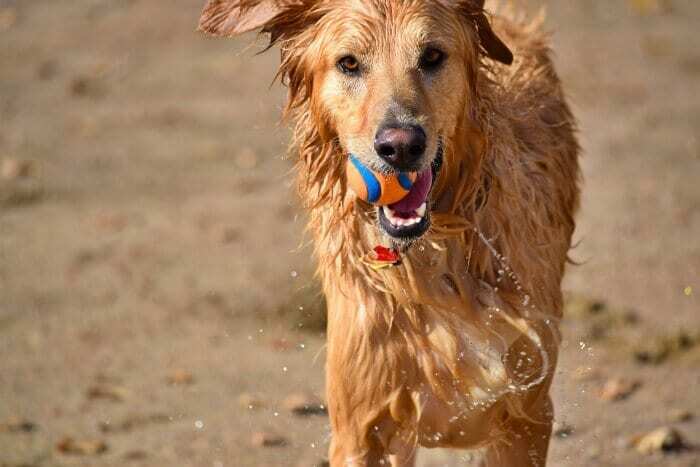 What better way to get your dog into playing fetch than with a set of colorful rubber balls? 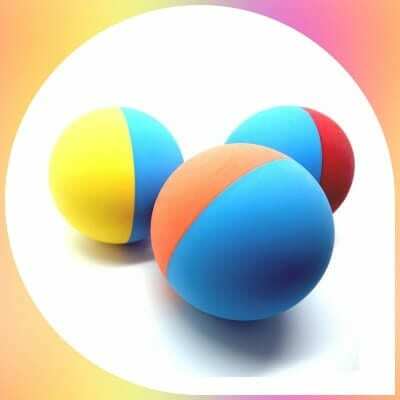 All the 3 balls included in this pack are the same size as tennis balls, and you can either use them as they are or with a ball launcher. 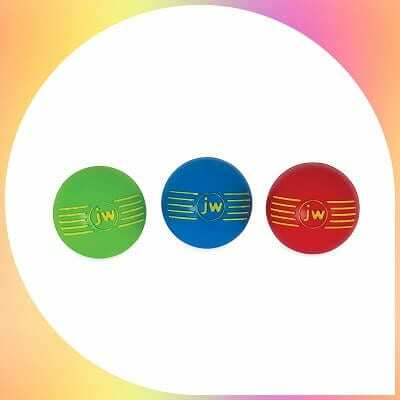 These balls are made of FDA-compliant, heavy-duty, thick, and durable natural rubber. 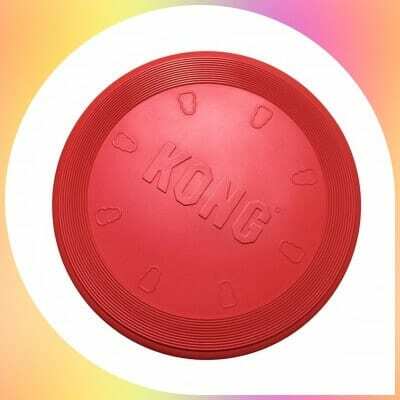 The KONG Flyer is part of a popular line of durable rubber dog toys that are chew-resistant while also being safe for your pet’s teeth and gums. It comes in both small and large, so any dog can play with it. 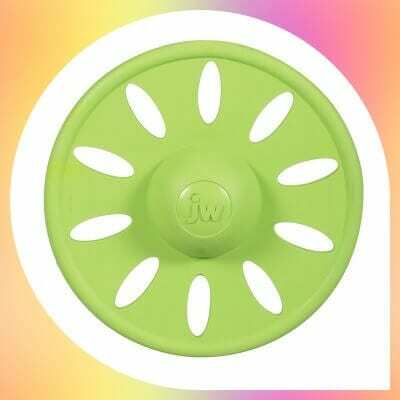 The sturdy outer ring and soft inner ring make this a flexible, durable disk toy. If you’re looking for durable dog toys, you might wanna check out this list too. These durable ultra balls can easily set the standard for rubber dog toys. They are made of high-quality materials right here in the USA. 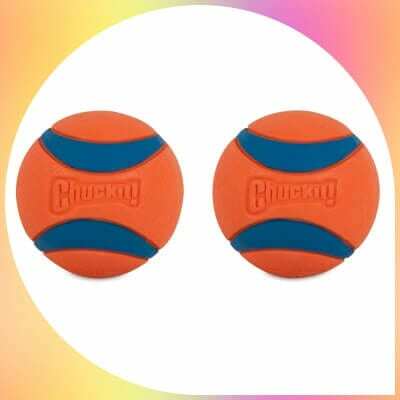 Since they are made of durable, high bounce rubber, these balls are perfect for a hyperactive dog who has lots of energy to burn. 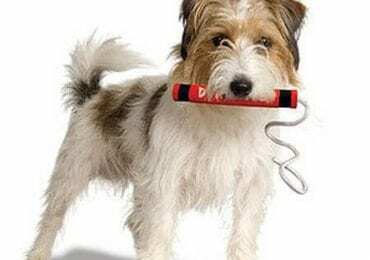 This is a great toy for someone on a budget, and it comes in many sizes, so any dog can have a good time playing with it. 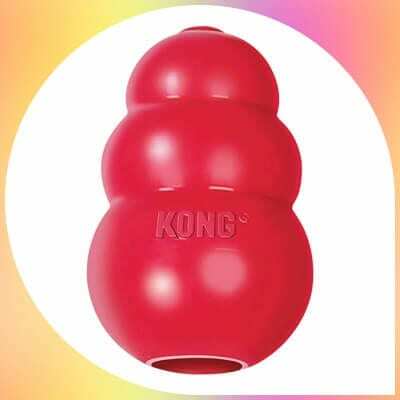 The Kong Classic dog toy is made of rubber that can withstand hours of play and interaction time. This extremely durable dog toy is great for stuffing treats and then throwing it. Plus, since this toy is oddly-shaped, it bounces differently every time it’s thrown, making it a very fun toy to chase. This is an ideal rubber dog toy for any canine that tends to get bored easily and needs stimulation. What’s more, it is very budget friendly too. 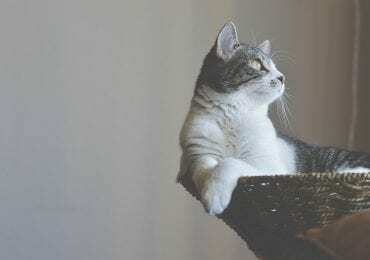 This wraps up our list of the most popular rubber dog toys nowadays, with pros and cons for each, as well as what type or size of dog they are best suited for. When choosing a dog toy for our list, we took customers’ opinions into consideration. This is why it a good idea for you to write feedback about them, as it lets prospective buyers know the real perks and downsides of each toy. Now, it is up to each pet owner to choose the toy that best suits their dog’s needs (and let us know which one it was, in your case). Editor’s Note: This article was initially published in August 2018 but has been updated to include the latest and greatest rubber dog toys!